In 1959, when Bill was 11 years old, his father, John Heidemann, bought his first antique car, a 1926 Studebaker. 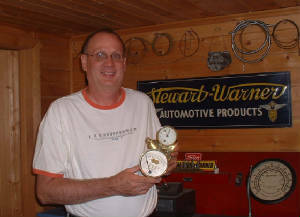 As a a rookie member of the Fox Valley Chapter of AACA in Illinois, his father put in an opening bid of $20 for some crates of old speedometers at a club auction. Well, nobody else bid, and he ended up taking home over 400 speedometers, mostly New Old Stock. In 1962, John set up Bill, at the age of 14, as President of the speedometer shop, and started advertising in Hemmings. Speedometers were sold for around $8 and repaired for around $4. Remember, they were bought for only a nickle each! As time went on, John specialized in 1902-1931 speedometers, and Bill did 1931 and up. In 1999, John died very suddenly. The last conversation he and son Bill had, he asked him to finish up the one that was spread out on his workbench. Bill retreived all of his father's stuff, brought it back to Ohio and finished the job. But, soon, brass era car people wanted Bill's expertise for their speedometers and drives which became his focus 11 years. We don't have very many Brass Era items left, but will help out when possible. Our main focus now is rebuilding speedometers for American cars 1924-1984. Bill in the shop with a Jones Speedo/Clock combination. First, 2018 was a very busy year. All of us car people usually consider which winter jobs we want to do while our cars rest. At Bill's this results in an influx of speedometers and tachometers from October to April, with a bit of slow down through the summer. However, this past year there was not such slow down; the calls and units kept coming! Second, Bill's has begun offering an improvement to the rebuild of the NorthEast EF unit used by Dodge, Franklin, Packard and others from 1926-31! 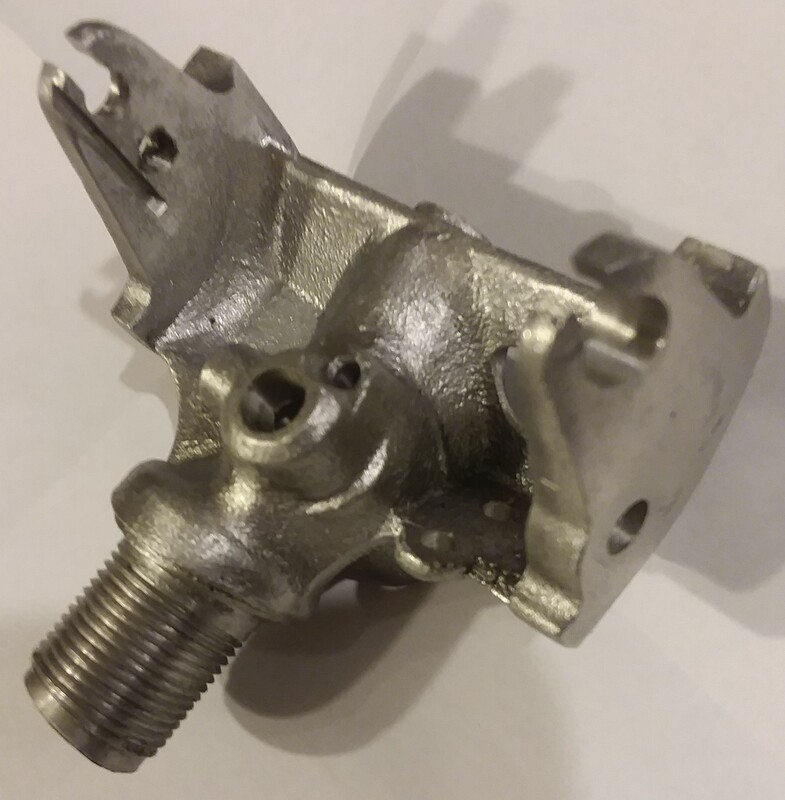 For those owners of such NorthEast units, the original pot metal frames are usually the cause of problems for the units. 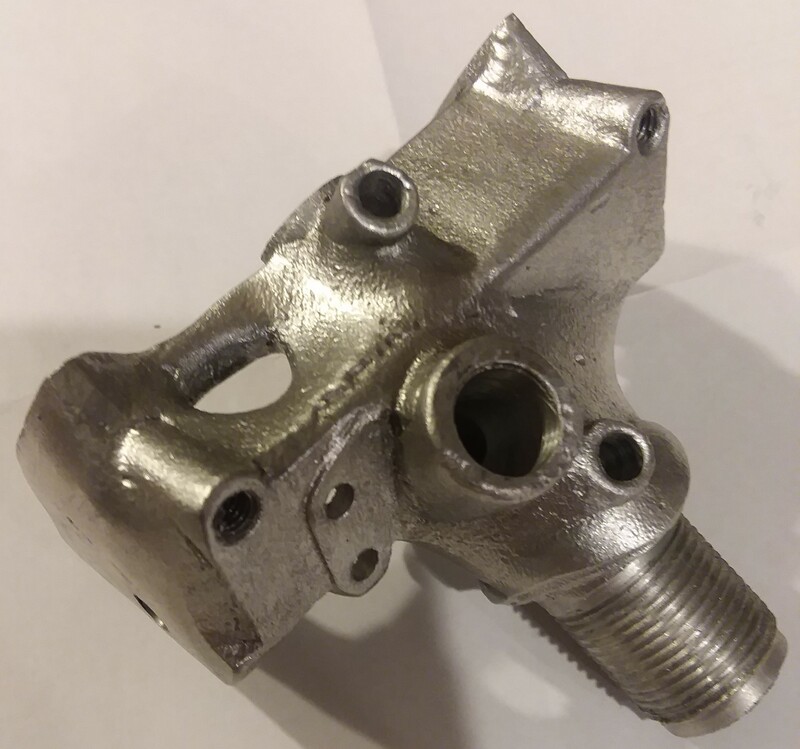 Like all pot metal, these frames are under continuous degredation; the metal is expanding and weakening which means critical dimensions for gear interfaces, bearing alignment and mounts are no longer preserved. The result is that the unit will bind and usually have irreparable internal cracks. So, Bill's is now using a reproduction aluminum frame that meets all the dimensional and strength needs to be durable and functional. If you have one of these units and have been told it can't be repaired, please give Bill's a call. Views of the replacement aluminum frame. The speedometer shop move is now complete. Many truckloads of NOS parts, tools, literature, etc. have been moved into the new shop home. No longer have a sore back every night and its now time to get back to repairing speedometers and tachometers instead of just carrying them around. Overall technical portions of the work process: receiving, assessment, repair, clean, replace, recalibration. Customer communication on requests, status, any problems and completion. Pat brings an engineering and business background as well as the personal experience of being a long time vintage car owner. He upholds the mission to help owners keep their cars on the road with fair and quality work. Pat has already been helping with speedometer repair through 2016.